You can import rclone.conf through the app but sometimes failed. You can copy rclone.conf file to rclone folder under sdcard. Also you can create new config. After that you can acces to all files, stream, download, upload, delete, move, rename. Some bugs: box make close the app, sharepoint dont allow stream videos. You can download and upload to any cloud, also you can stream videos. Stream videos sometimes is slow to start, also to see the list of files. I think the app can be improved, or maybe the problem is with the api. Pcloud was the fastest service to start to stream and to get the list of files. Wait, wait, wait!!! Webdav means write support. Great news (or at least it is news for me…)! Any recommended settings on rclone side? Or limitations that would make this less useful? This can also help in other situations if you want to use a decent file manager but don’t want or can’t mount. Rclone mount setup - Plex server reading from rclone off an Openwrt router! This is actually a fork from my app, Rclone Explorer. Looks like the developers didn’t add any extra features, just keep merging in my updates. So if you find any bugs or have feature requests, it might be best to open an issue in my project. 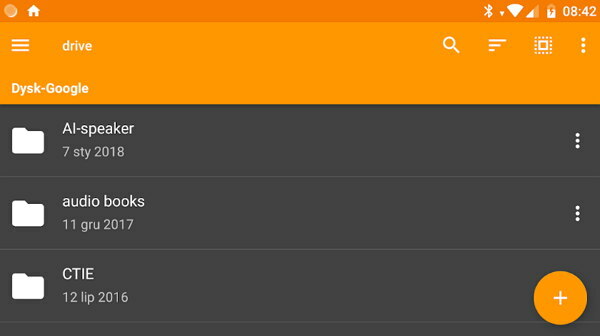 I didn’t upload my app to the Play Store, but I do distribute APKs through GitHub, with versions for x86 and ARM devices. Nice! Only problem is i have to wait 20 seconds to start stream videos. How do we get this on Android TV so I can run rclone direct off my Plex Server from my Nvidia Shield?